Canadians: Are you paying foreign transaction fees on your credit card? Canadians, did you know that you are probably paying a 2.5% fee whenever you make a US dollar transaction on your credit card? I knew, but I didn’t really think much of it. I just assumed it was a fee that I and everyone else had to pay. Well, apparently I was wrong. There are alternatives. For those of you who have never heard of a foreign transaction fee, it’s a small fee that the credit card companies take when you convert a foreign currency (USD) to Canadian dollars. PC MasterCard’s fee is currently 2.5%. Other cards (like some American Express cards) are as high as 2.8%. It may not seem like much, but it can add up over time and is especially noticeable on big USD purchases. For example, suppose you are down in the US and charge a new TV to your credit card for $1000 USD. Let’s pretend the exchange rate is 1 USD = 1.10 CAD. So you’d expect your new TV to cost you $1100 CAD (1000 X 1.10) right? Wrong, we need to add the foreign transaction fee of 2.5% on top of the exchange. Suddenly your new TV now costs you $1125 CAD, an extra $25 in fees. Up until a few months ago, I was regularly using my PC MasterCard to make my USD purchases. I usually spend about $80 per month on US based internet services, like AWS, Buffer, Google Storage, Pandora, etc. I also like to travel to Disney World as much as possible (which isn’t very often), and our last Disney trip cost approx. $2000 USD. So every month I’m spending about $2 CAD in foreign transaction fees and for my last Disney vacation I spent at least $50 CAD in fees. How can I avoid paying these nasty foreign transaction fees? There are actually a few credit cards that do not have foreign transaction fees. They are all Visa cards and they are all from JP Morgan Chase. The one I chose was the Amazon.ca Visa card. Compared to my PC MasterCard, it seems a little archaic with its ancient online interface. And they still mail you a paper statement! Regardless of these minor annoyances, I didn’t take much convincing to drop my PC MasterCard for the chance to save probably at least $100 per year. You can see the rest of the no foreign transaction fee cards here. Have a look at your credit card statements and start counting up all those USD purchases to see how much those foreign transaction fees are eating into your wallet. 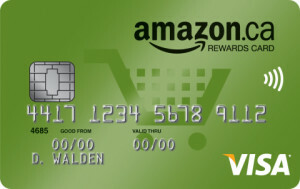 Disclaimer: I am not affiliated with Amazon Inc. nor do I benefit financially from recommending their Visa card. Configure ElasticSearch for use with Couchbase replication. Setup a username and password for Couchbase Replication to connect to your ElasticSearch server. Change “abc123” to your desired password. node.name: "name of this node"
Install ElasticSearch as service with the new script.